DEAR ‘OL DAD — He wiped your bum before you could, he carried you on his shoulders before he couldn’t and he probably even dressed you from time to time (bless him for trying, anyway). 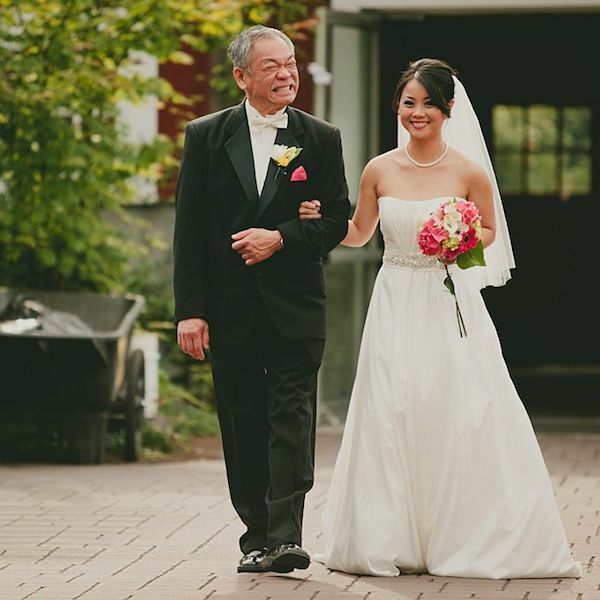 He may not be the most fashionable family member, but the father of the bride deserves to feel great on the big day too! Read on for eight charming touches to keep your dad looking dapper. 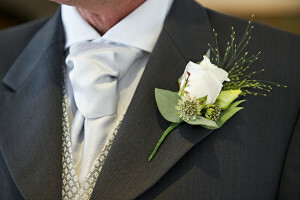 WHITE ON WHITE We love the classic look of a white tie on a white shirt, mixed with the modern look of a succulent boutonnière! We’d say she hit the mark here — he’s smiling ear to ear! 3. 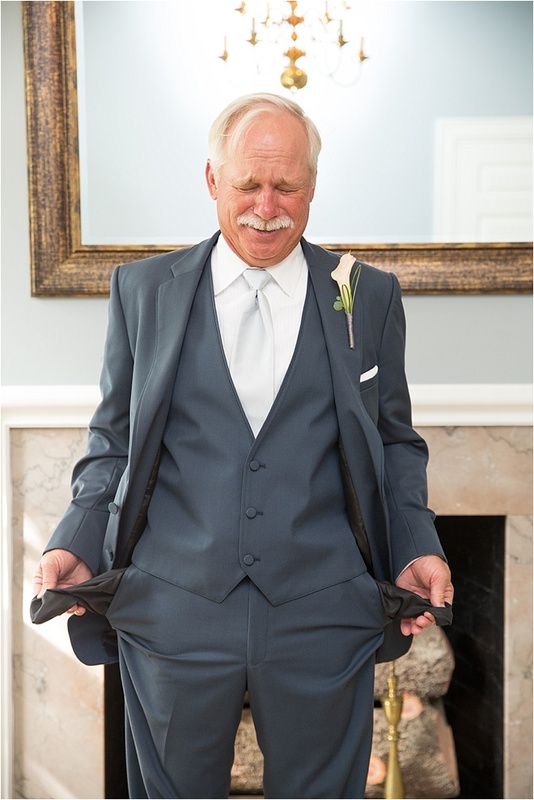 DECKED OUT– From the gorgeous greenery in the boutonnière, to the light silver vest and cravat tie, this dad is decked out in decadent detail. 4. BEACH CASUAL- Take it from this dapper dad, beach causal isn’t cause for boring fashion. 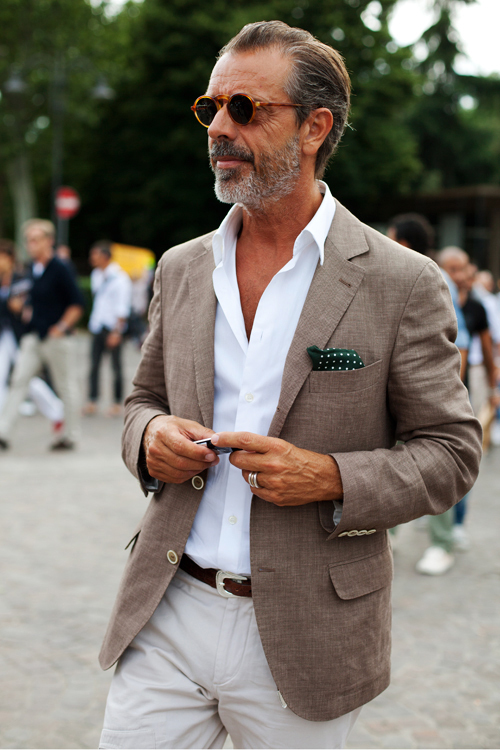 We love how he dressed up his un-done white button-up with a tan sport coat. Final fabulous touch? The gorgeous emerald green pocket square! 5. 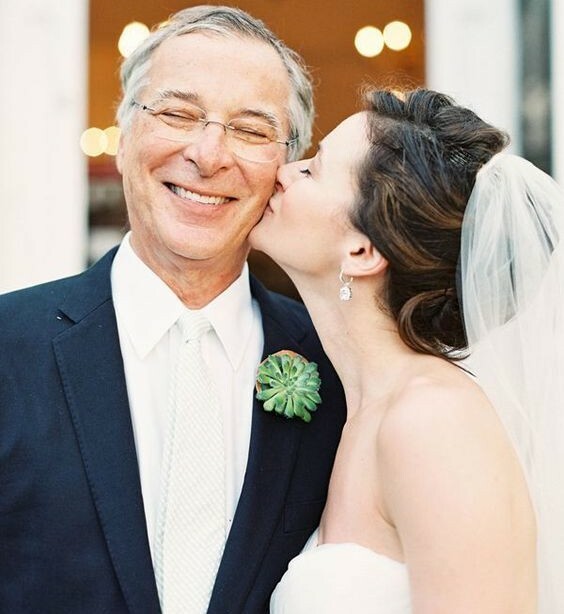 GIFT HIM SOME SWAG- If you’re looking for a father of the bride gift, consider some arm candy he can wear on the big day. Attach a sweet note and he’ll forget about all those times you came home past curfew (ok, probably not). 6. 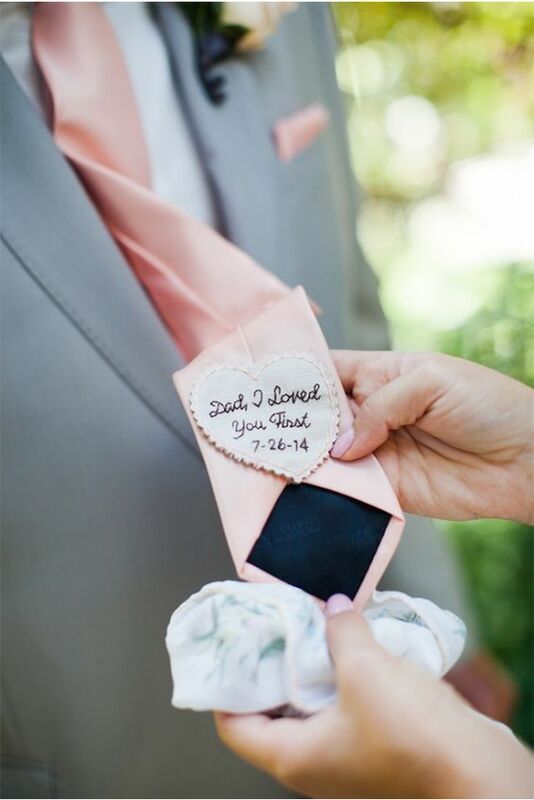 PERSONALIZE IT- When picking out the perfect tie, consider personalizing it with an embroidered note. 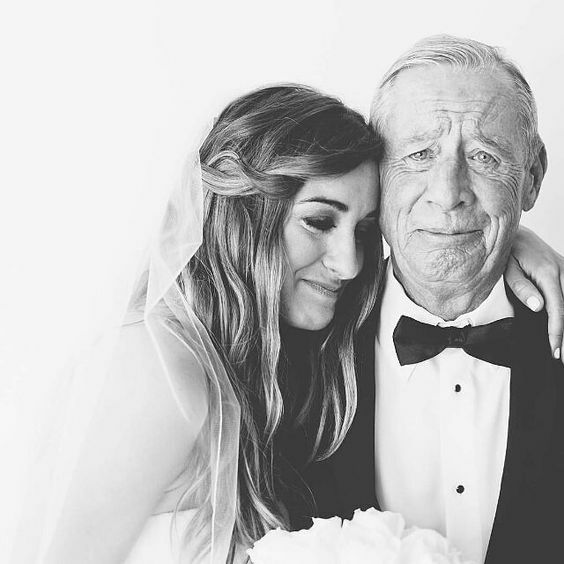 It will be as special on your wedding day as it will be 10 years later (because you know he’s going to wear the same dress clothes until your mom throws them out). 7. ELEGANT CHARCOAL- Don’t worry dads, you don’t have to empty your pockets to look this good.We love the charcoal, three piece suit and the powder blue tie and light pink tulip are easy, elegant touches. 8. OH, THAT SMILE!- When it comes down to it, the best thing your dad can wear is a smile. Whether or not he knows his half windsor from his full windsor, sport jacket from suit jacket, or oxfords from wing tips, he should be confident and comfortable on the big day. Have you thought about what your first love will wear on your wedding day? Which of the above eight were your favorite looks? Let us know in the comments below!